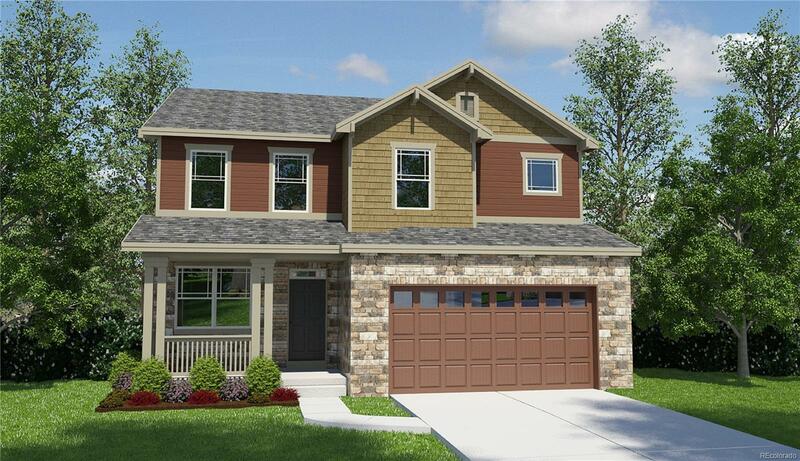 NEW HOME WITH 2-10 LIMITED WARRANTY! THIS BEAUTIFUL HOME IS SITUATED DOWN THE STREET FROM THE QUEBEC HIGHLANDS 14 ACRES PARK AND HAS A 3 CAR GARAGE. THE LARGE FAMILY ROOM WITH CORNER FIREPLACE IS OPEN TO YOUR STUNNING GOURMET KITCHEN! THIS HOME ALSO SHOWCASES AN INVITING OWNER'S SUITE WITH LUXURIOUS 5-PIECE BATH, GENEROUS SECONDARY BEDROOMS, WITH UPSTAIRS OFFICE SPACE. FULL FRONT AND REAR YARD LANDSCAPING, IRRIGATION SYSTEM ALONG WITH FULL 6' PRIVACY FENCING AND PATIO ARE ALL INCLUDED. A MUST SEE HOME AT A GREAT LOCATION.